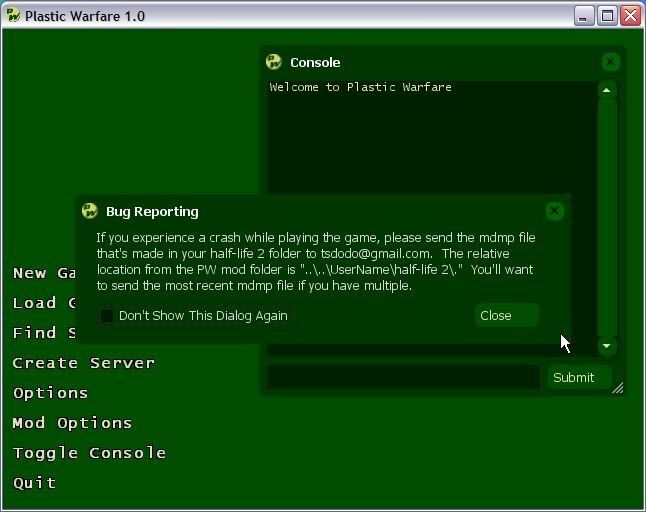 Description: Explanation on handling VGUI without having a connection to a game. "labelText" "An example label inside of an example frame"
See how much the defines reduced the coding for testpanel.cpp and testpanel.h? Now we have a panel that's created during startup, destroyed on shutdown, and accessible through a command. The build menu makes creation easier by allowing you to dynamically edit a resource file by creating controls and moving them. Do you have your panel declared? Yes, I think so.. I followed every step of the tutorial. I didn't remove anything from the code from above ("PanelGlobals(CTest,CTestPanel,test);" remains in testpanel.cpp). The only thing I changed is "#include "vgui_helpers2.h"" in testpanel.h to "#include "vgui_helpers.h"". I already did that.. That doesn't solve the problem. where is the .res file supposed to go? In ui?